Mistah Fab poses with kids at backpack giveaway in 2015. As kids in Oakland return to school, a local rap star is once again trying to make sure that many will feel prepared to take on the year. Mistah FAB (Stanley Cox) will host his 11th annual back to school backpack and supplies giveaway from noon to 6 p.m. Sunday at the North Oakland Basketball Court on 44th and Linden Streets. The free event is scheduled to include performances from FAB's colleagues Sage The Gemini and Nef The Pharoah, with more special guests expected as well as food, face painting and jumpers for children. Mistah FAB told NBC Bay Area that he has received generous donations from the community, including friends in music like MC Hammer, G-Eazy and Tree Crew Sounds. 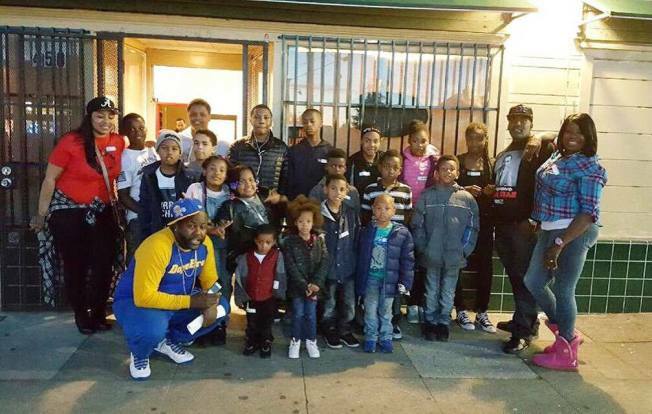 His philanthropic efforts in Oakland also include annual community events for Thanksgiving and Christmas. FAB also owns a clothing store called Dope Era in Oakland and has recently released a new album called "Son of a Pimp, Pt. 2."